From the city that brought the world its first true ‘skyscraper’, a ground-breaking recording of eleven choral works, ten of them new commissions by the Saint Louis Chamber Chorus, from a diverse range of global composers. For six decades the Saint Louis Chamber Chorus has dedicated itself to presenting the finest examples of choral literature. In recent years there has been an emphasis on presenting the work of living composers. In the mid-1990s a ‘composer in residency’ program was begun which flourishes to this day, and numerous supporters began to commission new works especially for this choir. The fruits of their generosity may be heard on this recording of which all but tracks 3 and 8 are first recordings. The works embrace the full gamut of choral techniques and emotional depth from the vibrantly rich harmonies of Bob Chilcott’s Before the Ice, and Howard Helvey’s An Evening Song to the extreme virtuosity and agility of Judith Bingham’s Solomon and Love. New choral techniques are explored in Ugis Praulins’ work, and Sydney Guillaume’s exquisite Le Dernier Voyage brings a twenty-first century take on sensual French-influenced impressionism. 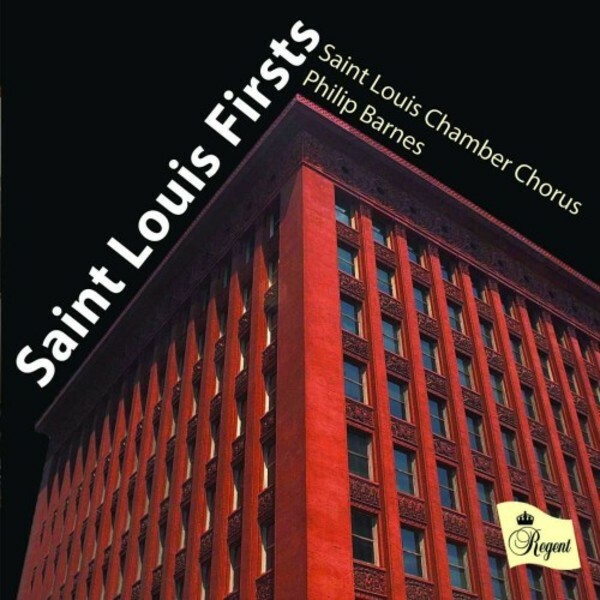 The Saint Louis Chamber Chorus has an enviable reputation in the US and beyond. This is the choir’s fifth release on Regent and all have received outstanding critical recognition.